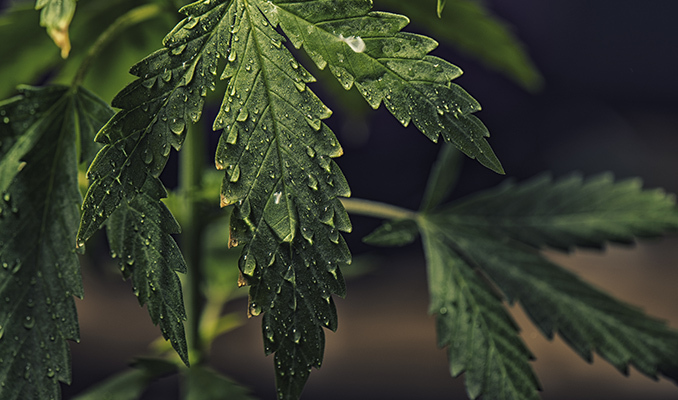 Here, you will learn how to detect if your cannabis plants have been underwatered or overwatered, as well as how to prevent and fix these issues. Once you get the hand of reading the signs, it will never happen again. To the novice grower, both of these affirmations may sound like new age mumbo-jumbo. But to the cannabis grower in-the-know, this is truly invaluable advice. Most beginner growers are known to follow the “rules” to a fault, often hurting their plants with too much love and attention. 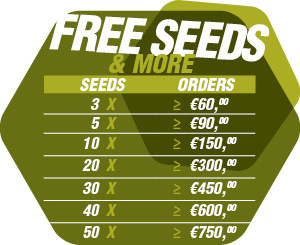 Talk to any grandmaster grower, and they will be quick to tell you that they don’t read labels anymore, don’t follow any preconceived charts, and don’t follow strict feeding and watering schedules. This is because the grandmaster grower knows their garden all too well, which is a skill acquired by listening to what your plants have to say. It is not mumbo-jumbo, nor do you need extra-sensorial perceptions to “read” or “listen” to the plants. It is all true. The more time you spend in the grow-op, the faster you pick up on the little details, and the less you rely on the “law” of the label. LEARN TO READ YOUR WEED, MAN! The slightest change in leaf colour, sudden stunting of growth, spots appearing out of the blue, curling of leaves, wilting—there are a myriad of signs plants exhibit that, to the knowledgeable grower, are clear as day, but pass unnoticed to the untrained eye. Sometimes, it almost feels as if plants are shouting directly at you! Immediate action is required to solve a potential problem, as more often than not, symptoms of doom progress quickly as secondary problems start occurring. For example, unnoticed overwatering can lead to a magnesium and nitrogen deficiency. Spots and yellowing will start happening at the same time. But adding more of these macro and micronutrients will do virtually nothing. The problem is the plant is suffocating at the roots and is unable to ingest its food. To the inexperienced grower, only when problems have advanced way too far do they pick up on the fault, and usually end up in a world of hurt trying to bring things back up to speed. There is absolutely no shame in this at all. These are just growing pains, pun intended, and absolutely all grandmaster growers got to where they are by learning the hard way. Even the most basic of activities while growing weed has its intricacies. For example, watering. It is all too easy to overwater or underwater your cannabis plants. Both can cause a significant decrease in productivity, especially if you are not picking up on them. In more extreme cases, they can lead to nutrient lockout, and in a doomsday scenario, you may even kill them via severe drought, infection, or root-rot. But do not fear. These two problems are fairly simple fixes that can easily be avoided altogether. This is the easier of the two to fix. It is very hard to kill your plants by underwatering, unless you seriously neglect them. It can also happen to anyone with an automated system that shuts down unexpectedly while the grower is out of town. In this scenario, strong HID lights can literally cook your plants to death. But again, this is a very rare occurrence and is 100% due to neglect or machine error. If you neglect your plants too long and the temperatures are too high, they will dry up quickly, pulling as much water as they can from the atmosphere. Signs are evident. Not only will the initial wilting occur, but you will also actually see the plant shrink into a lamentable, droopy state. Depending on the growth stage, plants may even topple over. The remedy is simple if the problem has not gone too far. Just water them and apply a foliar spray immediately, if it’s during the veg phase. Within a few hours, you will see them perk back up. There may instances where the plant decides to just quit on older leaves and start kicking out new leaves. This is absolutely normal. Give them a few weeks to fully recover and kick back into serious production. Overwatering is a basic newbie “mistake”. Mistake is in quotes because new growers do precisely as they are supposed to do. Follow instructions. And that is exactly what you should be doing. But as mentioned before, feeding schedules are not the law, and depend on dozens of factors. The main one is, plants are not robots. Overwatering is a bit harder to pick up on, and sometimes can be a challenge to fix quickly enough to prevent serious damage. If you keep the roots far too long in a water-saturated medium, all hell can break loose. They will literally suffocate, and the bad guys (anaerobic bacteria and viruses) love this. First of all, you need to be sure you are “reading” the plant correctly. 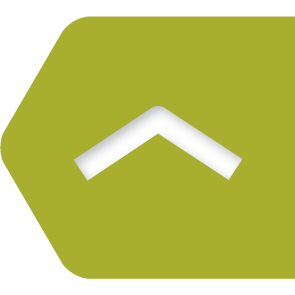 Verify the grow room is well-ventilated with fresh and constant airflow to replenish CO₂. Check your pH meter thoroughly for calibration. Triple-check on your day and night temperatures inspect for bug infestations. Check all light timers are going on and off correctly. • Otherwise healthy-looking leaves might just drop out of the blue! Fixing such an issue requires some nerves of steel, as there is little you can do to reverse this fast. Removing the water from a saturated medium without a plant sucking it out implies the water needs to evaporate. So here are some strategies. 1. This may seem counterintuitive, but the best thing to do is give the plant a very good flush before starting to fix the problem. The medium is already almost fully saturated, but still packed with salts and thriving bacteria. So a good flush with straight tap water can kill off big armies of anaerobic bacteria, clean off the roots, and provide fresh O₂. 2. Get a fan, preferably a small dehumidifier, and point it straight at the top layer of the medium, not the plant. 3. Increase the room temperature to help with water evaporation; decrease overall relative humidity to around 40%. 4. Nursing heat mats under the pots will help tremendously. 5. Poke lots of small holes on the side of the container if it is plastic. This will improve airflow. 6. From here, simply do not water anymore. Pick up the pot and take good notice of the weight. Or even better, get a scale. Since the roots are suffocating, foliar spray with a mild nutrient solution as plants can feed directly from the leaves. But careful not to overdo it; plants are quite sensitive to this method of administration. A mild fish meal is ideal at this moment, and a dash of Epsom salts will help too. Again, foliar spraying is recommended during veg as it could do more harm than good once the plants are covered with buds. If all goes according to plan, you will soon notice that the pot is becoming lighter and lighter. When the top few centimetres of the substrate are completely dry and you find the container to be particularly light, you can start to reintroduce a watering schedule. For plants grown in containers, consider leaving enough time between waterings so that the topsoil becomes completely dry. Again, your plant can deal with slight dehydration much better than it can an excess of water. Feel free to takes notes on your watering schedule too, as this information can be helpful in subsequent grows. Keep reading those plants. They will tell you all you need to know.